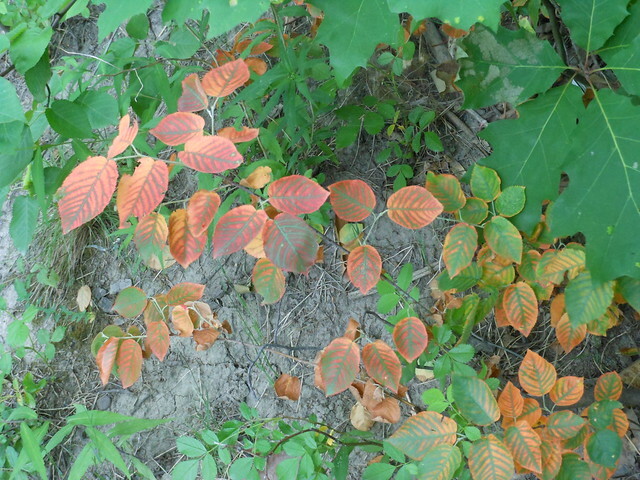 I spotted these bright orange leaves on one of our recent hikes. The colour of them was shockingly bright - they look fake. I thought it was strange that they were so orange at the beginning of the summer, in the shade... and it was only this one little bush. I'd love it if you'd participate with me in this challenge! The rules are simple - take 1 photo a week, for 52 weeks. No theme, just a photo of something that sparked your interest during the week. Feel free to use my Project 52 banner as well. Either right click on the image above and save it on your computer, or follow this link and download it from Flickr. Once you've taken your photo, post it online somewhere and add your link in the submission box below.